Country cowboy to rustic cool, western home decor is something that many people love. It’s fun to add a little American old-world charm to the home, and railway clocks can bring a lot to the table. The West and railroads are after all forever tied together. If you’re looking for some timepieces to bring to life that rustic decor look–that edge of the Wild West–check the five out below. 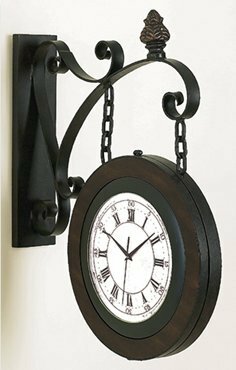 Some are wall clocks, others are double-sided railway clocks, but each fits right in with western home decor. So much so that you may end up calling mid-day “High Noon” just for having them around. Simple and understated, yet incredible western charm. 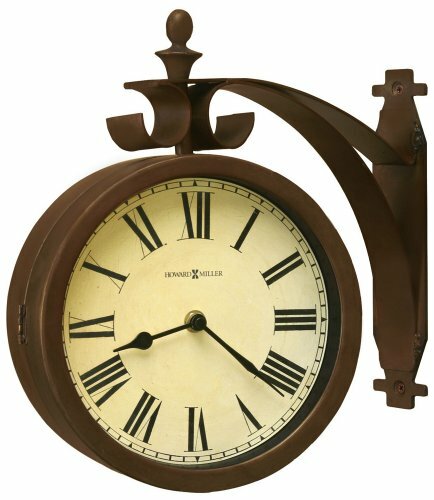 The brown case of this Howard Miller double-sided railway clock gives that rusted out look that’s so charming for many people. It gives the aura of weathered without being so. 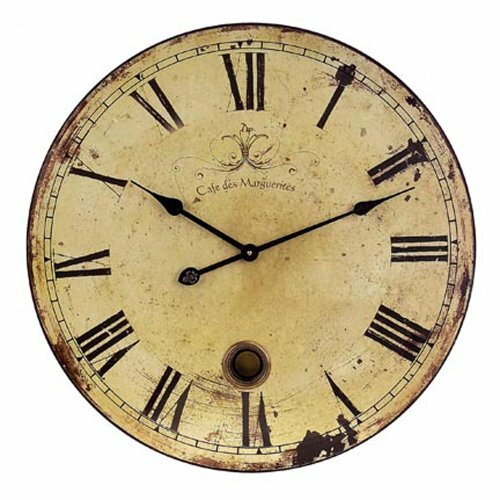 Plus, it feels like the west–rustic and simple in design, with a distressed parchment colored clock face and iconic Roman numerals. It nods to Western home decor without screaming it, and that’s the sign of a piece that can work in nearly any room or space you can imagine. 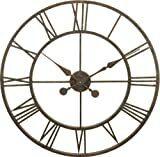 This is a nice sized wall clock that can really bring a focal point to a wall. But it’s the material choice that makes this clock shine as western home decor. It’s made of wood, and when you add in the distressed face it just feels like a clock that’s been pulled from the eastern states into some western town over a long, hard journey. 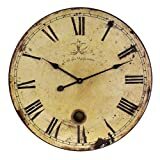 It makes an excellent rustic kitchen clock or a lovely piece to feature in a country living space. It just feels like a station clock tower. There are two things really going for this cool clock as country decor. The first is its style so reminiscent of station clock tower timepieces. It’s the kind of clock that you just await High Noon on. The second is the fact that it’s a skeleton clock. It gives the piece a simple rustic decor charm, and it allows whatever wall (and wall treatment) you are using to shine through. Plus, it’s quite large in diameter–over 30 inches across–so it’ll stand out. It’s perfect for a living room or bedroom wall clock. Imagine it anchoring the style of a wall right behind your couch in your main living room. Right from a western Main Street. 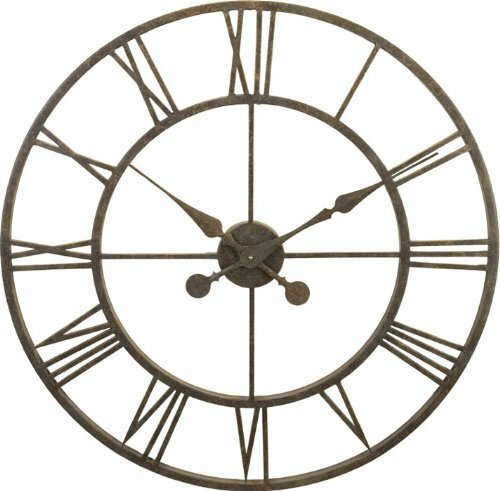 With its metal framing, rustic multi-colored casing, and simple distressed clock face, this is another double-sided clock that fits right in with a western decor motif. It definitely feels like one you’d see on the Main Street of some town along the lines of the railways heading west. It’s perfect for a covered entryway. 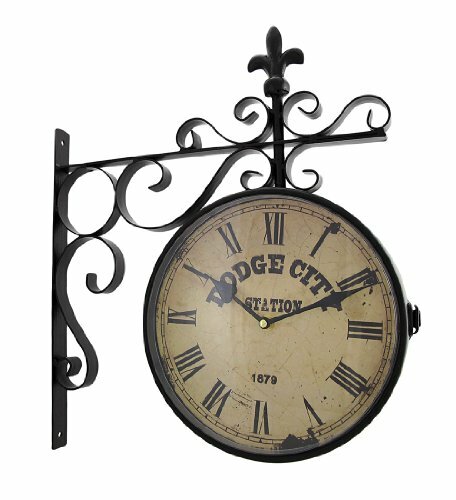 A clock that announces its Dodge City Station western roots. Looking for a western train station clock that doesn’t just nod to western decor, but instead announces it proudly? Here’s the one. Celebrating the Dodge City Station, this two-sided railway clock beauty has a nice level of distressing on the clock face and an ornateness that definitely announces it as the timepiece of an important building in town. If you enjoy playing up the locales of the Wild West in your western home decor style, then it doesn’t get much more iconic than this.